The Control of Substances Hazardous To Health (COSHH) regulations were first issued in 2002 and are administered by the Health & Safety Executive (HSE) of the United Kingdom. The regulations require employers to control exposure to hazardous substances in the workplace to prevent ill health. Note: Do not confuse COSHH with CCOHS, which is the Canadian Centre for Occupational Health and Safety. Assess the risks from hazardous substances in your workplace. Determine what precautions are needed. Prevent or "adequately" control exposure. Ensure that control measures are used and maintained. Monitor employee exposure to hazardous substances. Ensure employees are properly informed, trained, and supervised. These regulations not only prevent injuries to employees, but can also improve productivity, reduce accidents, and lessen legal/regulatory liabilities. Like most workplace safety regulations, they benefit employers and employees alike. which, not being a substance falling within sub-paragraphs (a) to (d), because of its chemical or toxicological properties and the way it is used or is present at the workplace creates a risk to health. Examples include various fumes, dusts, vapors, mists, nanotechnology materials (which involve respirable particles smaller than 100 nm in diameter), gases and asphyxiating gases, and biological agents (germs). If the materials's packaging has any of the regulatory-required hazard symbols then it is classed as a hazardous substance. Substances with their own regulations, such as asbestos and lead. Substances which are hazardous only because they are radioactive, at high pressure, at extreme temperature, have explosive or flammable properties, or are biological agents outside the employer's control (infectious diseases, for example). "Safety at Work, Eighth Edition", Hardcover, 1,064 pages, 2013. Estimated price $99.74. Info and/or order. "Chemical Risk Assessment: A Manual for REACH, 1st Edition", Hardcover, 418 pages, 2014. Estimated price $85.77. Info and/or order. "Health and Safety at Work: An Essential Guide for Managers, Tenth Edition" (designed for employers in the UK), Paperback, 344 pages, 2016. Estimated price $45.25. Info and/or order. "Health and Safety: Risk Management 4th Edition", Paperback, 530 pages, 2017. Estimated price $69.66. Info and/or order. "Concise Guide to Workplace Safety and Health: What You Need to Know, When You Need It 1st Edition", Paperback, 409 pages, 2011. Estimated price $92.95. Info and/or order. "Occupational Health and Safety Management: A Practical Approach, Third Edition 3rd Edition", Hardcover, 608 pages, 2015. Estimated price $110.33. Info and/or order. 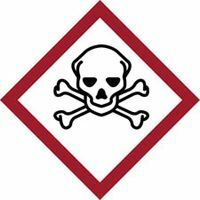 The HSE's Control of Substances Hazardous to Health - COSHH web site has all kinds of useful information. Working with substances hazardous to health. A brief guide to COSHH (PDF). COSHH Essentials provides advice on controlling the use of chemicals for a range of common tasks, e.g, mixing, or drying. Chemicals at Work at the HSE, covers all of the major UK/EU regulations - COSHH, REACH, GHS, PIC, CLP, and COMAH. See also: CHIP, REACH, risk phrases, safety phrases, and the International Section of the SDS FAQ. Entry last updated: Thursday, March 15, 2018. This page is copyright 2000-2019 by ILPI. Unauthorized duplication or posting on other web sites is expressly prohibited. Send suggestions, comments, and new entry desires (include the URL if applicable) to us by email.